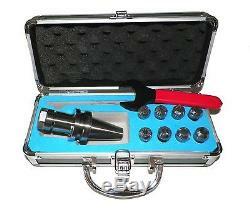 One BT chuck holder, 8 pieces prime quality ER 16 collets, and one wrench are included in the package. Collets are made in inch not from metric conversion with the size listed below: 1/8, 5/32, 3/16, 7/32, 1/4, 5/16, 11/32, 3/8. Made of alloy steel and hardened to HRC 60-62. Balanced to 25,000 RPM. Thread :M12 x 1.75P. All of our products are 100% inspected. All of our products are in brand new condition. If you have any questions regarding our products or services, please give us a chance for correction. Please do not leave a negative or neutral feedback. We will do our best to fix it. 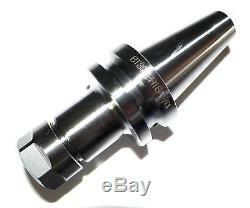 The item "ZLIVECENTER BT30 ER16 MILLING COLLET CHUCK SET 8 PCs PROJ. 25,000RPM" is in sale since Tuesday, September 29, 2015. This item is in the category "Business & Industrial\CNC, Metalworking & Manufacturing\Workholding & Toolholding\Toolholding\BT Holders". 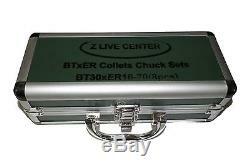 The seller is "zlivecenter" and is located in Diamond Bar, California. This item can be shipped worldwide.